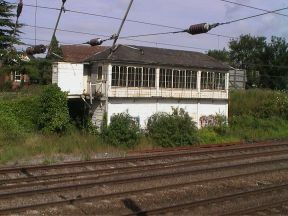 Following closure in 1980 and a period of decay, a Trust was formed in 2003, to lease the box from Network Rail. Professional and volunteer work has since been used to restore the box and its site. In Oct 2008, regular public opening started. 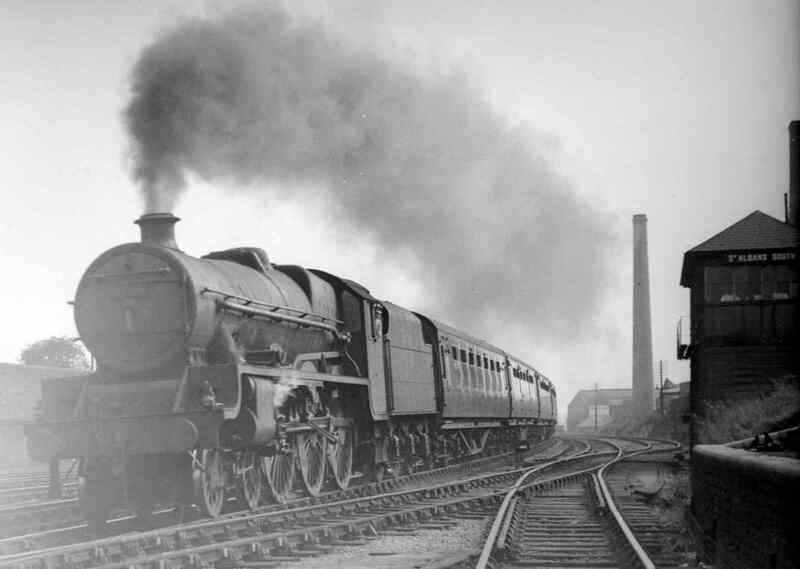 Much of the history of the restoration and subsequent developments will be found in our 'News' pages. 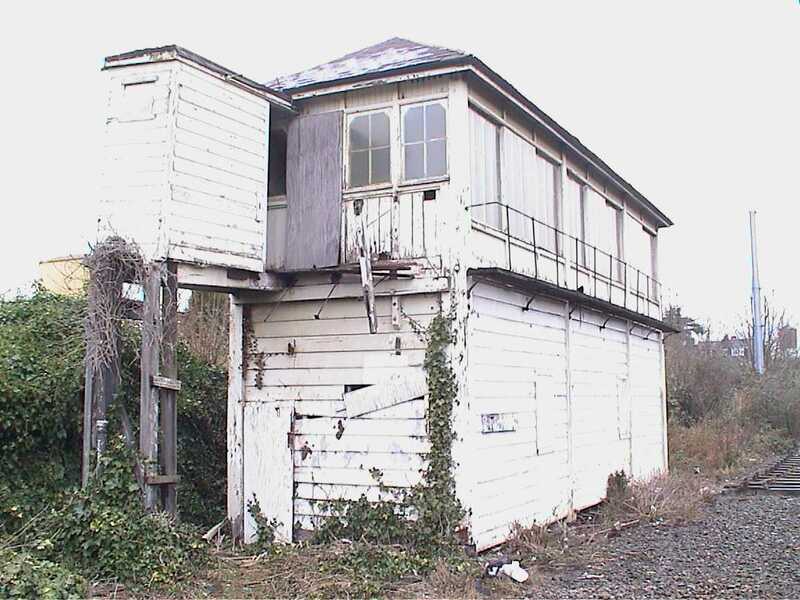 The signal box was built in June 1892 by the Midland Railway, replacing an earlier box on the site, when the line was expanded from two to four tracks southwards. 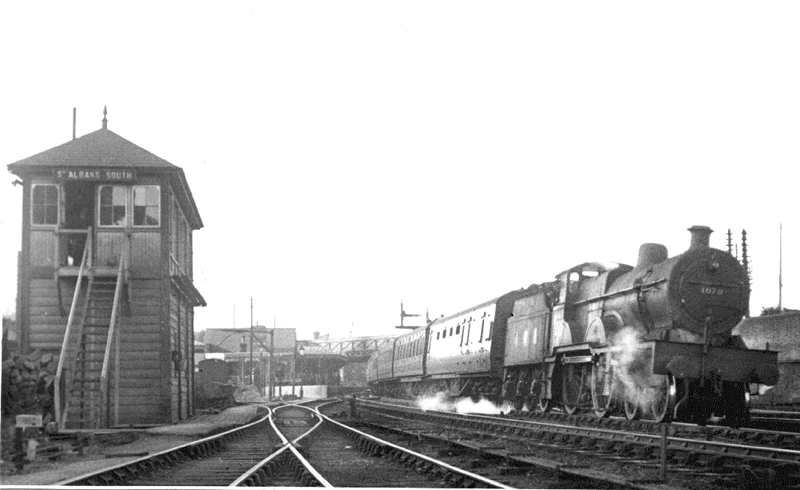 The box is classified by members of the Signalling Record Society as a Midland Railway 'Type 2A' and is one of many made from parts pre-fabricated in Derby. It is of wooden construction with a slate roof and heavy glazed windows. It had no foundations until the recent restoration! 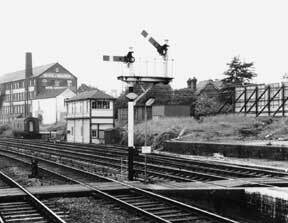 The Midland Railway 44 lever ‘Tumbler interlocked' frame controlled all the trains on the four tracks between intially St Albans North Box and Napsbury. By 1970 it worked northwards to Harpenden. 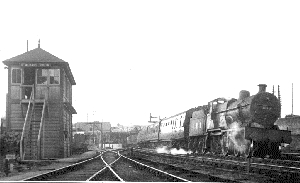 The frame was reconfigured when the track or signalling changed, e.g. 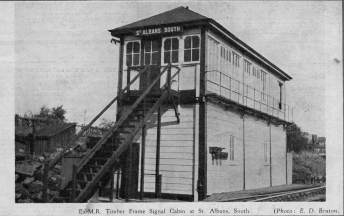 with the introduction of slow and fast line working southwards in 1895 and northwards in 1906, and in 1970 when St Albans North box was closed. The box itself was altered in 1963 when a toilet was added. 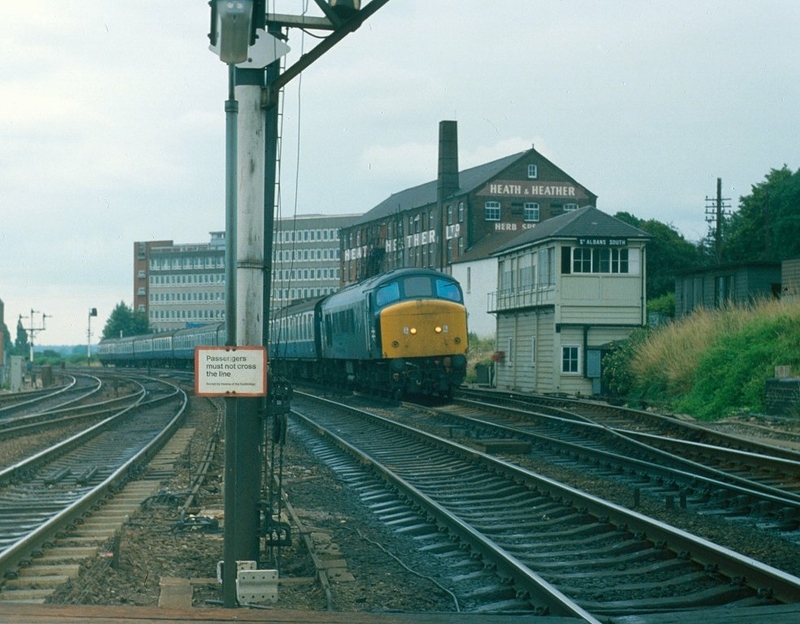 It was listed Grade II in February 1979 before closure for signalling on the 2nd December 1979. 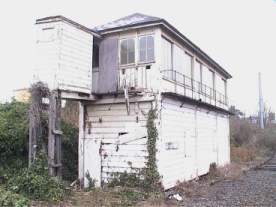 It fully closed in early 1980 after the station announcer moved to the station.